With the holidays over and everyone back to work, I feel like I haven’t blogged in so long. It probably feels that way especially since all I’ve blogged about recently are nail posts haha. Clearly I haven’t stopped since I’m here with yet another mani! 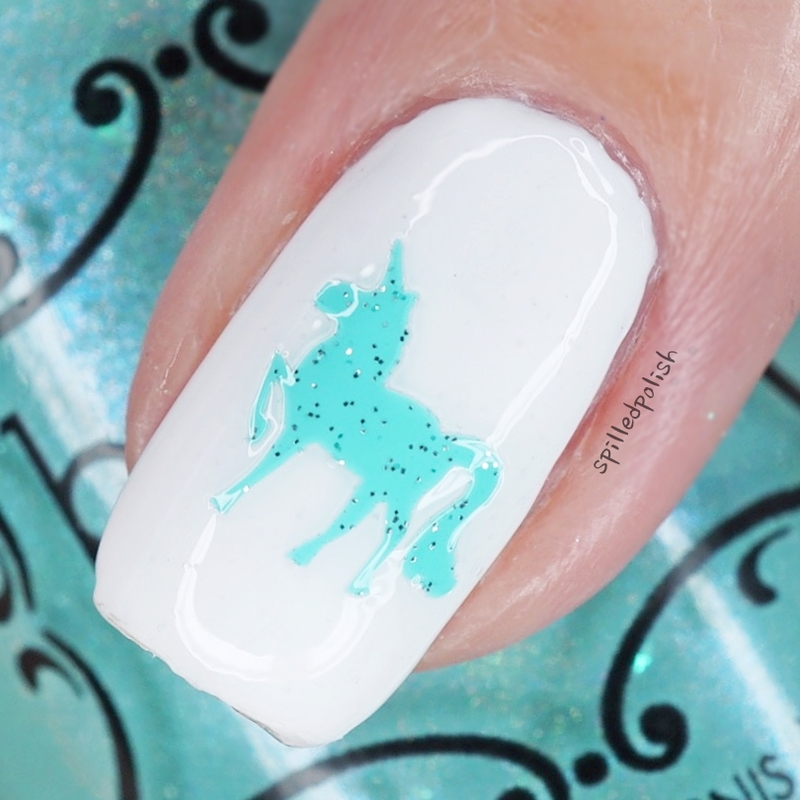 This time it’s a Unicorn mani – completely non-related to the holidays. For these nails, I started by painting my index and ring finger with two thin coats of Beyond the Nail – Bright White. 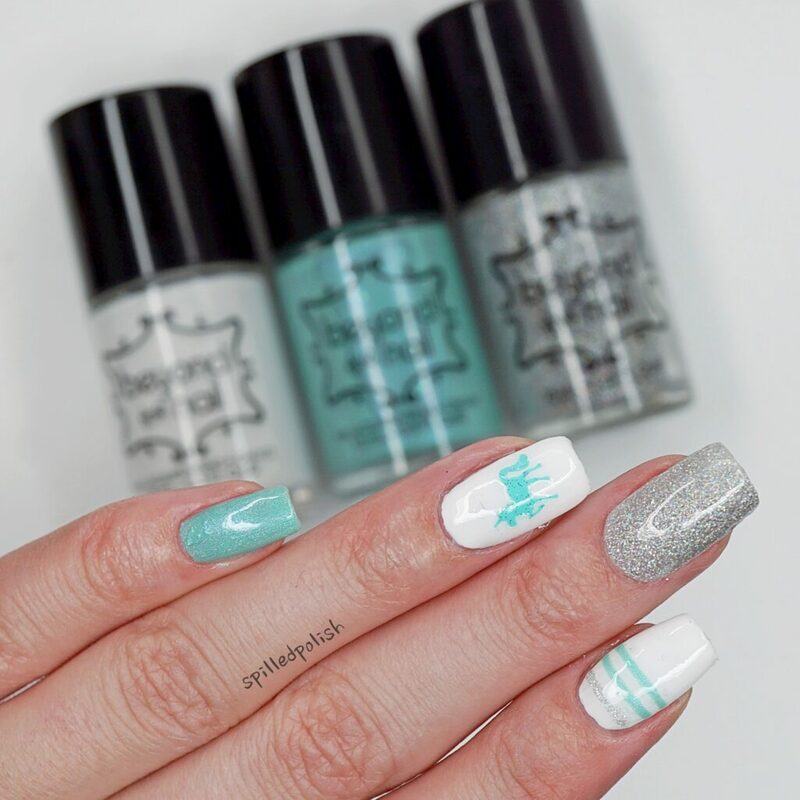 On my middle finger, I painted one coat then sponged on another coat of Beyond the Nail – Holographic Silver Microglitter. On my pinky, I painted three thin coats of Beyond the Nail – Chill. When everything was dry, I placed a Unicorn Nail Decal on my ring finger. I placed some Line Nail Guides across my index finger nail and painted in the spaces with Chill & Holographic Silver Microglitter. I finished each nail off with one coat of Beyond – Base and Top Coat. 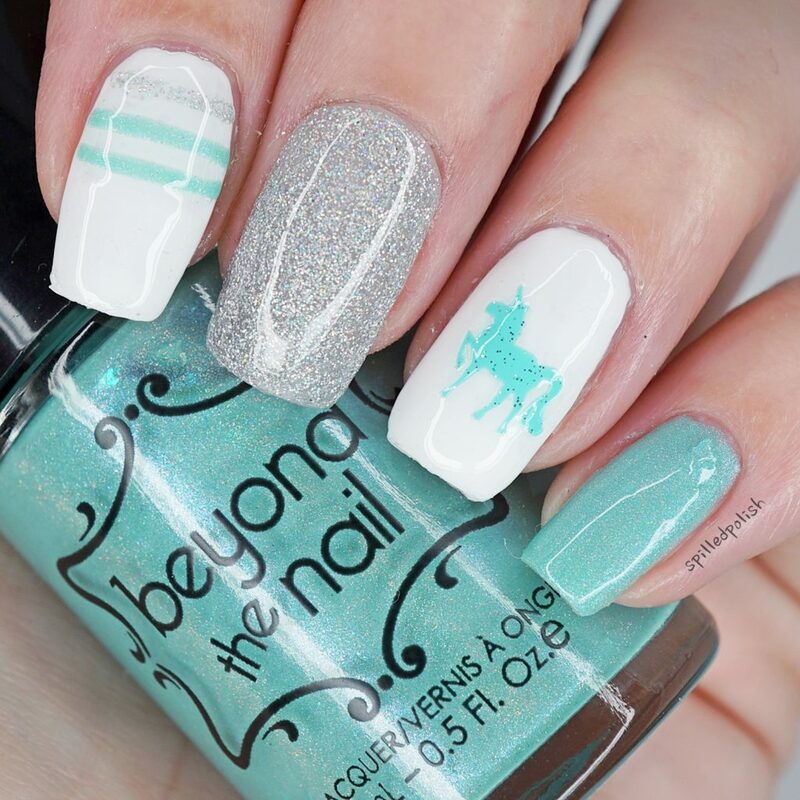 What do you think of these Mint Unicorn Nails?